Burnley defender Ben Mee insists he stands by the tackle that left Joe Gomez with a fractured leg during his side’s 3-1 defeat to Liverpool at the beginning of December. A fierce challenge, not aided by the slippery conditions, forced Gomez to be stretchered off mid-way through the first half at Turf Moor. The Englishman was subsequently ruled out for the entire festive period, with Jurgen Klopp critical of Burnley’s approach on the night. Having defended himself at the time, Mee has again responded to Klopp’s criticism by stressing the need to maintain the level of competition in the Premier League. Mee proceeded to touch on Willy Boly’s divisive red card in Wolves’ recent defeat to Manchester City and how it compared to Vincent Kompany controversially escaping punishment for a similar lunge on Mohamed Salah during the champions’ 2-1 win over Liverpool. An unrelenting lack of consistency to the refereeing in the Premier League serves as the root of frustration over the decisions in question. Either both should be yellow, both red or both unpunished. Until there is a notable continuity to top-flight officiating, debate will continue to soar. 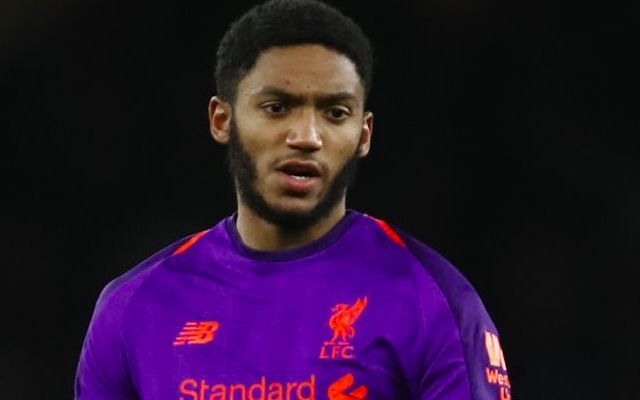 As for Gomez, the centre-back is expected to hand Liverpool a timely boost on the back of Trent Alexander-Arnold’s knee injury by returning to full training next week.